Manhattan clam chowder has clear broth, plus tomato for red color and flavor. In the 1890s, this chowder was called "New York clam chowder" and "Fulton Fish Market clam chowder." 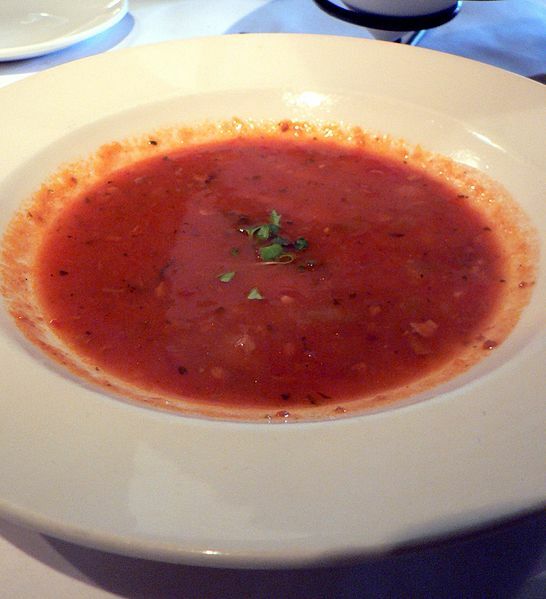 The name "Manhattan clam chowder" became attached in the early 1900s from the people in Maine. Clam chowder, in its cream-based New England version, has been around since the mid-18th century, and no mention of any Manhattan chowder has been found that predates the 1930s. Many restaurants in northern Rhode Island sell both red and white chowders, while the southern coast favors clear and white chowders. Often they are served alongside clam cakes. It is likely that the addition of tomatoes in place of milk was initially the work of Portuguese immigrants in Rhode Island, as tomato-based stews were already a traditional part of Portuguese cuisine. Core the tomatoes. Remove the pale parts and the seeds. For canned tomatoes, a strainer will be helpful. 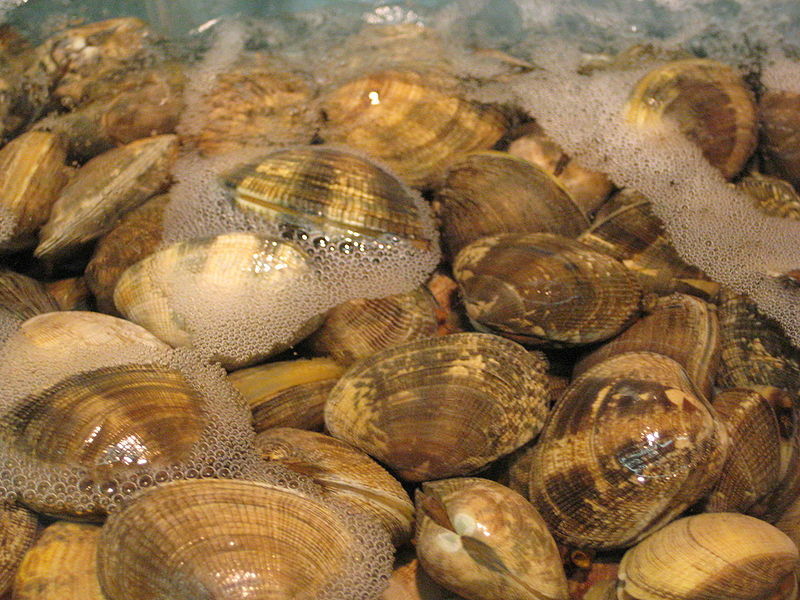 Chop all non-clam ingredients to match the clams in size. Optionally add spices. Suggestions: dill seed, basil, thyme, celery seed, tarragon, marjoram, fresh cilantro. Cook the chowder without boiling until the celery begins to get soft. You can use a sturdy type of fish in place of the clams. Good choices are catfish, tilapia, and pollock. You can use cooked rice in place of the potatoes. You can add spinach or seaweed, perhaps in place of the celery. You can add lemon juice.